***The Billionaire’s Obsession: The Complete Collection Boxed Set (Mine For Tonight, Mine For Now, Mine Forever, Mine Completely) (The Billionaire’s Obsession series Book 1) (Deal, Not Free) by J. S. Scott. Cost: $0.99. Genre: Adult Romance Box Set Deal, Sponsor, NY Times Bestselling Author, Collections & Anthologies, Anthologies, New Adult & College, Literature & Fiction, Contemporary. Rated: 4.3 stars on 2,701 Reviews. 288 pages. ASIN: B00BMHUDP2. NY Times Bestselling Author J.S. Scott. Reviewers love it: This collection was out of this world from the first page! Touching and heartfelt! This book will hook you from the start! It is a beautiful story about finding true love! I didn’t want it to end! Phenomenally intense! Their story made me smile! 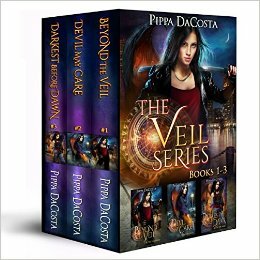 *The Veil Series (Books 1 – 3): A Muse Urban Fantasy (Deal, Not Free) by Pippa DaCosta. Cost: $0.99. Genre: Fantasy Romance Box Set Deal, Sponsor, Paranormal & Urban Fantasy, Paranormal Romance. Rated: 4.7 stars on 20 Reviews. 690 pages. ASIN: B00ZLRPYBC. Reviewers love it: The entire series is completely amazing! Fabulous! Fast paced, with a lot of action! Lift the veil and see what is behind the cover! Trust me, you will love this series! Pippa DaCosta spins a bowl of spaghetti that has the reader never knowing where the next turn will be! Awesome series! I wish there were more! Grab Your Free [Not Cheap] Christian & Shifter Romance Kindle Bundle Set Below! Posted on March 24, 2016 Author KibetCategories $1 Box SetLeave a comment on Grab Your Free [Not Cheap] Christian & Shifter Romance Kindle Bundle Set Below! Monster Dating Romance Kindle Cheap Box Set ($1) Deal for Wednesday Evening! Non Steamy Romance Box Set Deal! 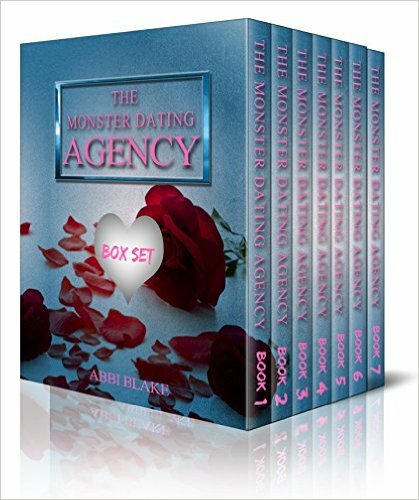 *(Box Set Deal, Not Free) The Monster Dating Agency Boxset (Deal, Not Free) by Abbi Blake. Price: $0.99. 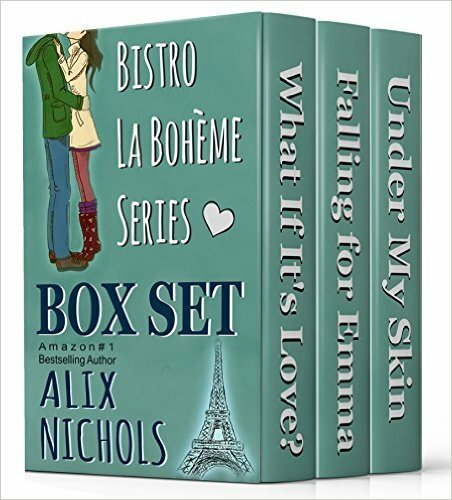 Genre: Romance Box Set Deal of the Day, Sponsor, American, Romantic Comedy. Rated: 5 stars on 2 Reviews. 342 pages. ASIN: B01BPEIN94. Reviewers love it: Funny, imaginative and entertaining! Refreshing! Even though this is a set of seven stories, they all come together beautifully! True entertainment such as this is hard to find, and once found, it is a true treasure! Delightful! I would suggest it for anyone who wanting something a little different and enjoyable for a quick read! Posted on March 23, 2016 Author KibetCategories $1 Box SetLeave a comment on Monster Dating Romance Kindle Cheap Box Set ($1) Deal for Wednesday Evening! Excellent $1 Kindle Box Set Deal, Free Kindle Box Set for Monday! 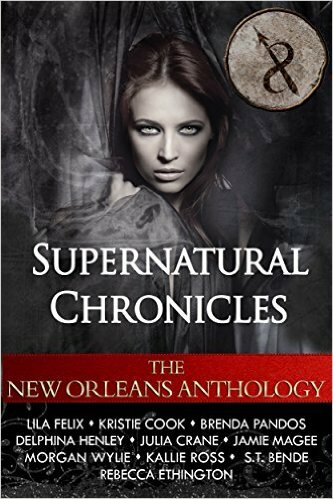 **Supernatural Chronicles: The New Orleans Collection (Deal, Not Free) by Kristie Cook, Lila Felix, Brenda Pandos, Delphina Henley, Jamie Magee, Morgan Wylie, Julia Crane, Kallie Ross, S.T. Bende, Rebecca Ethington. Price: $0.99. Genre: Fantasy Box Set Deal of the Day, Sponsor, Sci-Fi Box Set, Anthologies & Short Stories, Paranormal & Urban. Rated: 4.7 stars on 68 Reviews. 602 pages. ASIN: B01AIRVZ0S. Reviewers love it: I really enjoyed reading through this collection! What a great idea and an amazing group of authors! Full of twists and fun to keep you smiling as you flip through the pages! You never know what the next adventure will be, or how it turns out! Wow! This is a great series! I must admit that this box set is the best one I have had the pleasure to read so far! Posted on March 21, 2016 Author KibetCategories Cheap Box SetLeave a comment on Excellent $1 Kindle Box Set Deal, Free Kindle Box Set for Monday! 4 USA Today Bestselling Authors Kindle Box Set Deal, Free Kindle Box Set for Saturday! Excellent $1 Paranormal Romance + Fantasy Box Set Deal! 23 Books! Includes 4 USA Today Bestselling Authors in 1 Amazing Box Set – An Absolute Steal! 20 NY Times Bestsellers for $1! 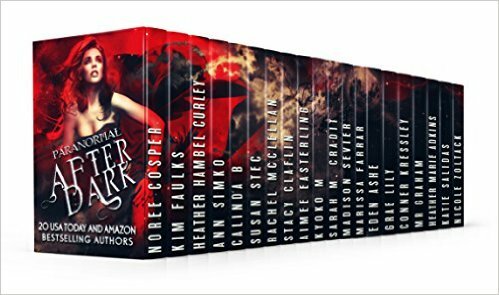 *Paranormal After Dark: 20 Paranormal Tales of Demons, Shifters, Werewolves, Vampires, Fae, Witches, Magics, Ghosts and More (Deal, Not Free) by Rebecca Hamilton, Noree Cosper, Kim Faulks, Heather Hambel Curley, Ann Simko, Calinda B., Susan Stec, Rachel McClellan, Stacy Claflin, Aimee Easterling, Kyoko M, Sarah M. Cradit, Madison Sevier, Marissa Farrar, Eden Ashe, Grae Lily, Conner Kressley, MR Graham, Heather Marie Adkins, Katie Salidas, Nicole Zoltack. Price: $0.99. Genre: Romance Box Set Deal of the Day, Sponsor, Some Adult Titles, USA Today Bestselling Authors, New Adult & College. Rated: 4.7 stars on 37 Reviews. 3038 pages. ASIN: B01ATSFB42. 23 NY Times Bestselling Authors. Reviewers love it: I can’t recommend some of these books enough! At times, the beauty of the sentences had me weeping real tears! A great mix of stories that will give readers hours of entertainment! After reading these, it was as though I had gone to the movies, with the only thing missing being popcorn! Amazing stories in an incredible box set! Posted on March 19, 2016 Author KibetCategories $1 Box Set, Free Box Set, NY Times Bestselling Author Box SetLeave a comment on 4 USA Today Bestselling Authors Kindle Box Set Deal, Free Kindle Box Set for Saturday!